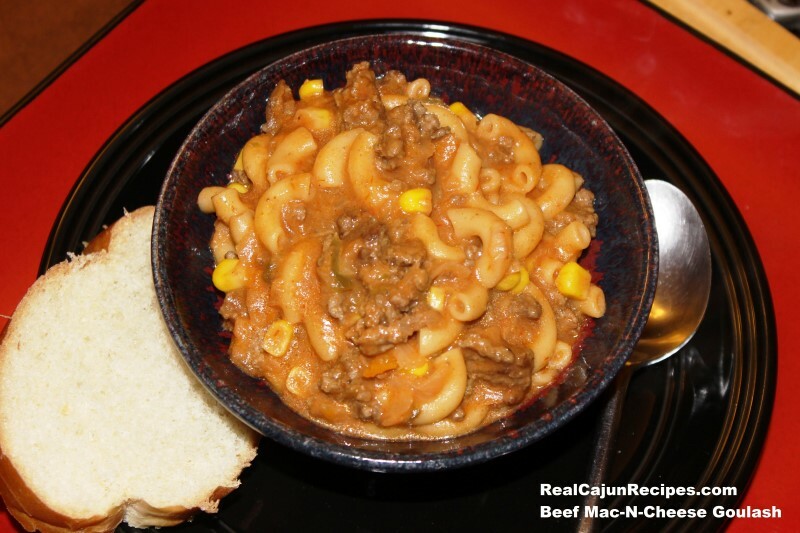 This dish is easy, inexpensive and yummy comfort food being mixed into one pot! My kids always called this dish Goulash but not sure why. Hungarian Goulash where the dish name Goulash originated was a stew mixture made with beef and vegetables. My guess is because what you cooked ended up in one pot where you “mixed all the stuff” together. Prepare the macaroni and cheese according to directions. Brown the ground meat, seasoned with salt and pepper to taste. Add onion and green pepper; sauté for 10 minutes. Add the tomato sauce and water and cook for 30 minutes on low heat, stirring to prevent scorching or sticking. Stir in the corn and prepared macaroni and cheese and remove from heat. Serve and enjoy!